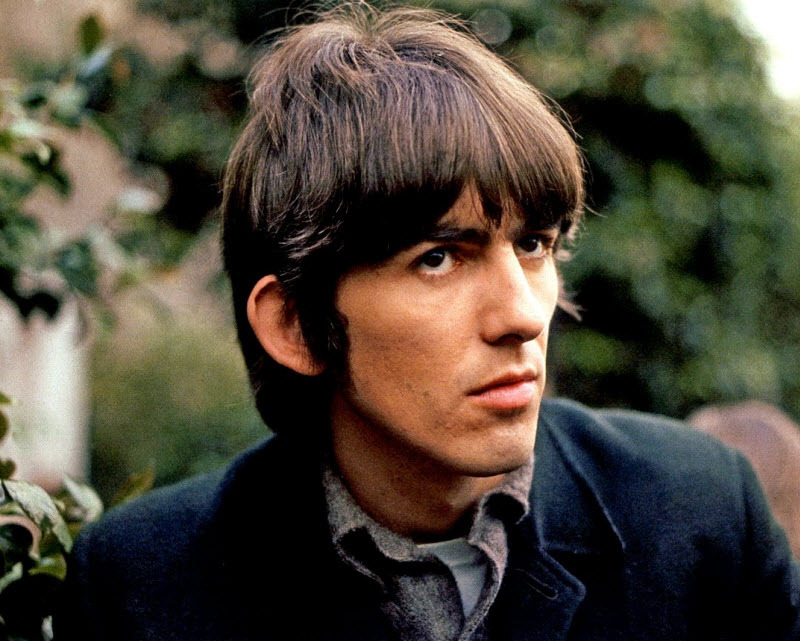 George Harrison MBE (25 February 1943 – 29 November 2001) was an English musician, singer and songwriter who achieved international fame as the lead guitarist of the Beatles. 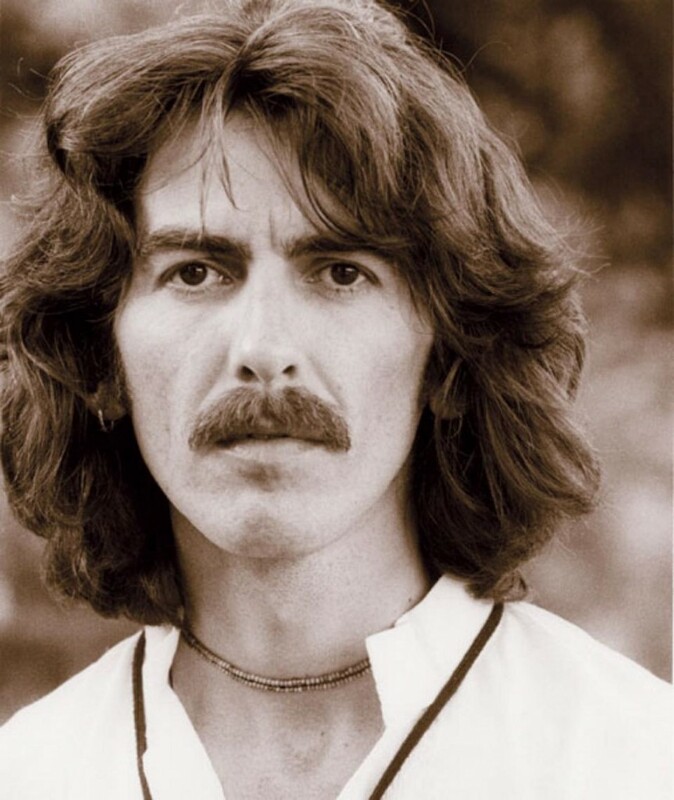 Often referred to as the “quiet Beatle”, Harrison over time became an admirer of Indian culture and mysticism, introducing it to the other Beatles, as well as to their Western audience. 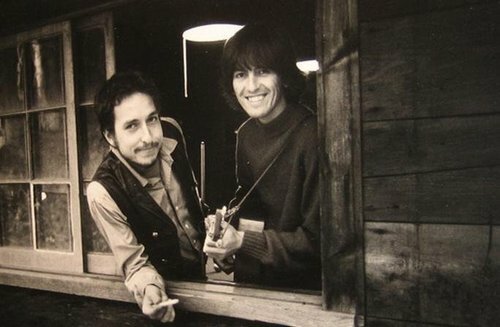 Following the band’s break-up, enjoyed a successful solo career, and in 1988 he co-founded the supergroup the Traveling Wilburys, with Tom Petty, Bob Dylan, Jeff Lynne and Roy Orbison. Rolling Stone magazine ranked Harrison number 11 in their list of the “100 Greatest Guitarists of All Time”. Although John Lennon and Paul McCartney wrote most of the Beatles’ songs, the band’s albums generally included at least one Harrison composition. His later songs with the Beatles include “While My Guitar Gently Weeps”, “Something”, and “Here Comes the Sun“. By the time of the band’s break-up, Harrison had accumulated a backlog of compositions, which he recorded and released as the triple album All Things Must Pass (1970), from which two hit singles originated: a double A-side single, “My Sweet Lord”/”Isn’t It a Pity”, and “What Is Life”. Later in his career, he wrote two hit singles for former Beatle Ringo Starr, as well as songs for the Traveling Wilburys. With Ravi Shankar, Harrison organized the 1971 Concert for Bangladesh, widely regarded as the first major benefit concert. Among his many accomplishments, Harrison also worked as a session musician and as a record and film producer, co-founding the production company HandMade Films in 1978. Harrison married twice, first to model Pattie Boyd from 1966 to 1977, and from 1978 until his death to record company secretary Olivia Trinidad Arias, with whom he had one son, Dhani Harrison. Beginning in the mid-1960s, Harrison became closely tied to the Hare Krishna movement, and in many interviews he spoke on the subject of his mystical beliefs. He was a close friend of Eric Clapton, and is the only Beatle to have published an autobiography—I, Me, Mine (1980). Harrison died of lung cancer in 2001. In June 1965 Harrison and the other Beatles were appointed Members of the Order of the British Empire (MBE). They received their insignia from the Queen at an investiture at Buckingham Palace on 26 October. In 1971 the Beatles received an Academy Award for the best Original Song Score for the film Let It Be. The minor planet 4149 Harrison, discovered in 1984, was named after him. Rolling Stone magazine ranked him number 11 in their list of the “100 Greatest Guitarists of All Time”. In 2002, on the first anniversary of his death, the Concert for George was held at the Royal Albert Hall. Clapton organised the event, which included performances by many of Harrison’s friends and musical collaborators, including McCartney and Starr. Eric Idle, who described Harrison as “one of the few morally good people that rock and roll has produced”, performed Monty Python’s “Lumberjack Song”. The profits from the concert went to Harrison’s charity, the Material World Charitable Foundation. In 2004 Harrison was posthumously inducted into the Rock and Roll Hall of Fame as a solo artist by his former bandmates Lynne and Petty, and into the Madison Square Garden Walk of Fame in 2006 for the Concert for Bangladesh. On 14 April 2009, the Hollywood Chamber of Commerce awarded Harrison a star on the Walk of Fame in front of the Capitol Records Building. McCartney, Lynne and Petty were present when the star was unveiled. Harrison’s widow Olivia, the actor Tom Hanks and Idle made speeches at the ceremony, and Harrison’s son Dhani spoke the Hare Krishna mantra. On 28 December 2014, it was announced that Harrison would posthumously receive The Recording Academy’s Lifetime Achievement Award at the upcoming Grammy Awards in February 2015.